√ Drop from the room temperature to -35°C in a few hours! 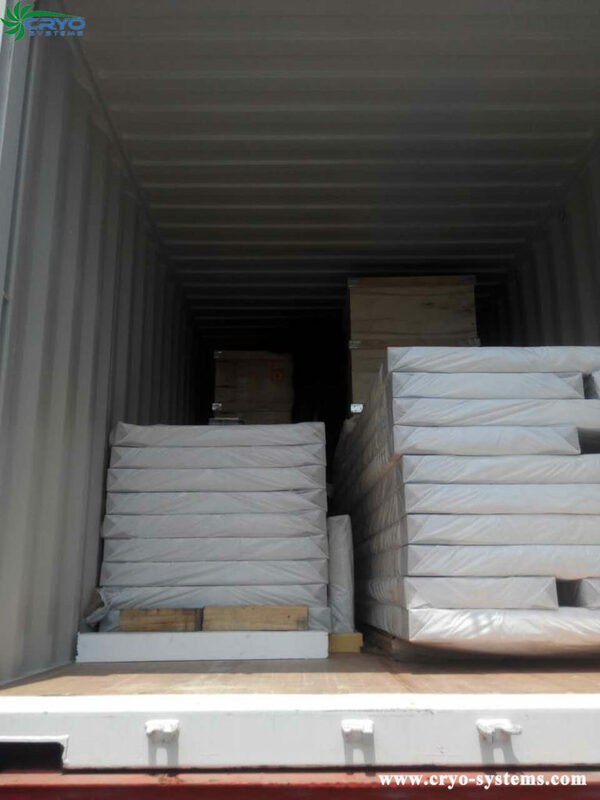 √ Best PU panels to give you the best insulation! √ Best insulation to save your operation costs! √ Famous brand surface steel to ensure at least 20 years lifetime! √ Design the best solution for your specific requirements! 2. 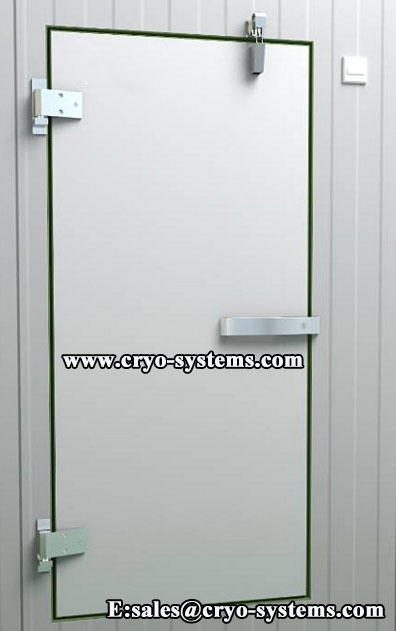 Application: Used for low temperature freezing of food, medicine, medicinal material, chemical raw material, etc. 3. 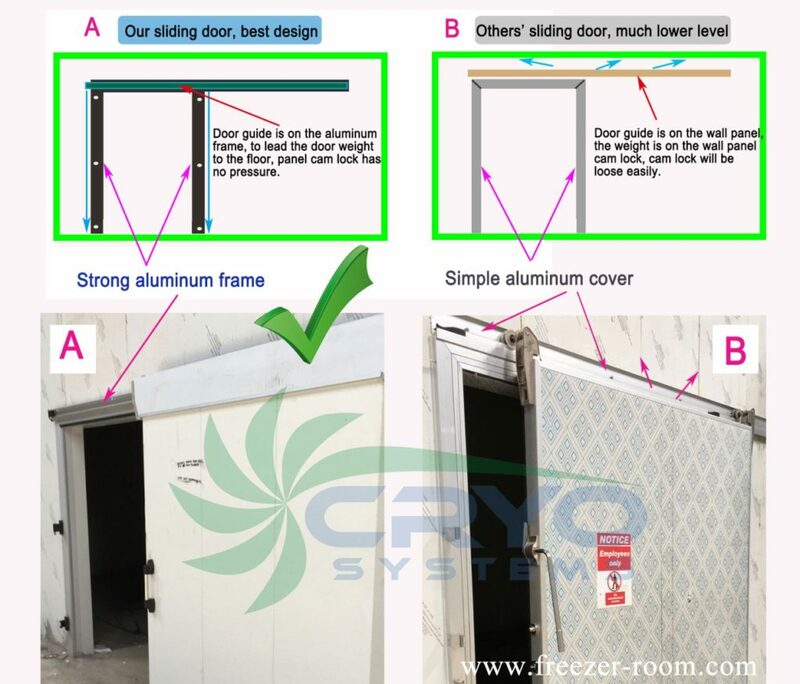 Why we store goods in freezer room? (1) Avoid creating large crystals of ice between cells. (2) Reduce intracellular moisture and reduce the loss of juice during thawing. 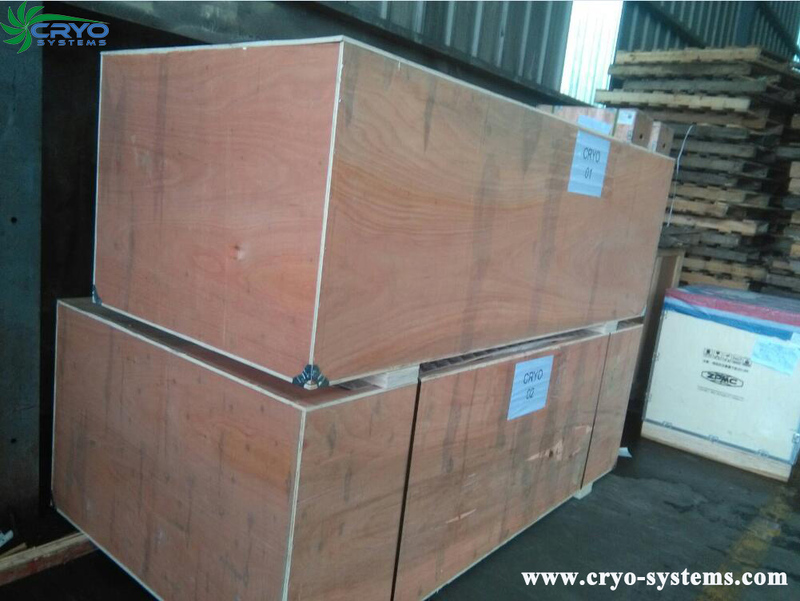 (3) The rapid decline in food to microbial growth activity temperature, favorable to resist microbial growth and its biochemical response. 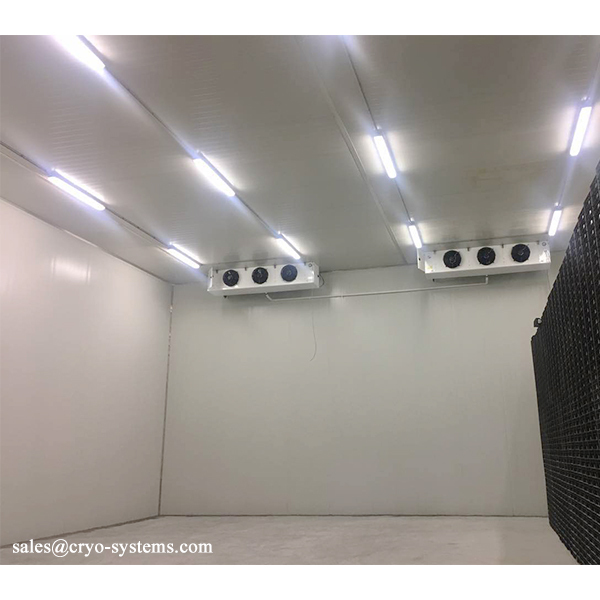 (4) The retention time of food in freezing equipment is short, which is beneficial to improve equipment utilization and continuous production. 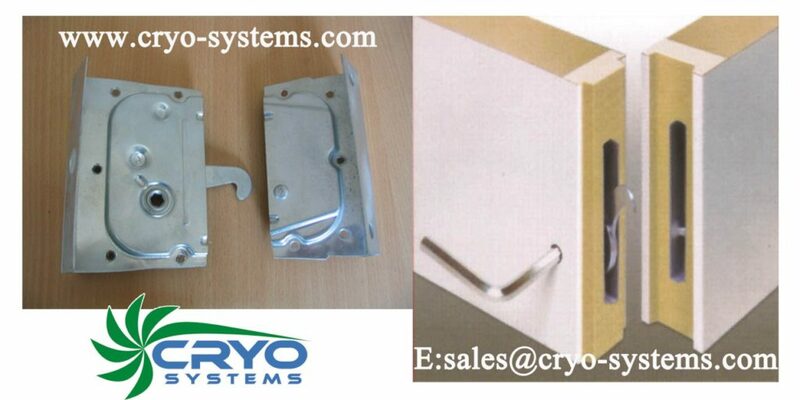 For -15℃～-35℃, the thickness of PU panels we usually suggest is 150 mm, 180mm, 200 mm. (1) Fresh fruits/ vegetables: Stainless steel 304/ Color plate/ Aluminum/ Salinization sheet/ Galvanized sheet. PS: Color plate is the most popular& cost-effective. (4) Other food: Stainless steel 304/ Color plate/ Aluminum/ Salinization sheet/ Galvanized sheet. For specific requirements, we will design the best solution for you! One of our customers wanted to store 36 tons of pork. 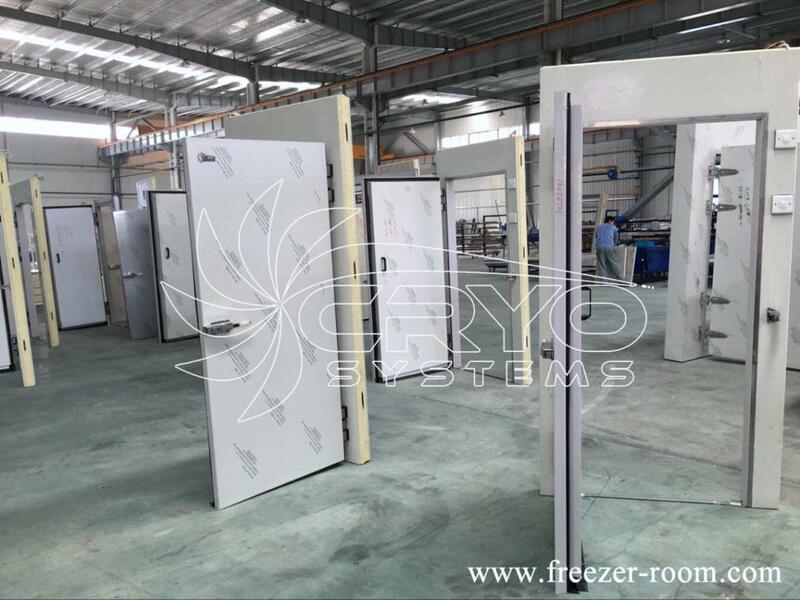 According to the specific condition, our professional engineers designed the optimal freezer room for him. 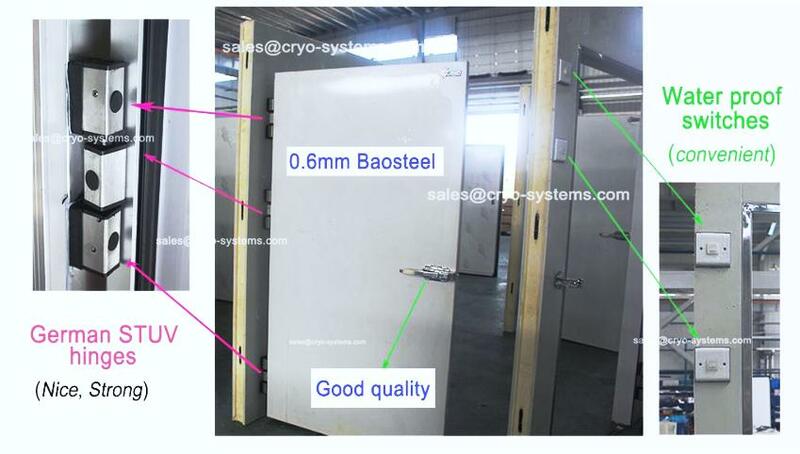 PU panels: 150mm,0.6mm Baosteel color plate. 3 sets of Kide big monoblock unit with 10HP Danfoss compressor.